Had a very wet trip to Northland recently, incidentally the first place to get a press in NZ. 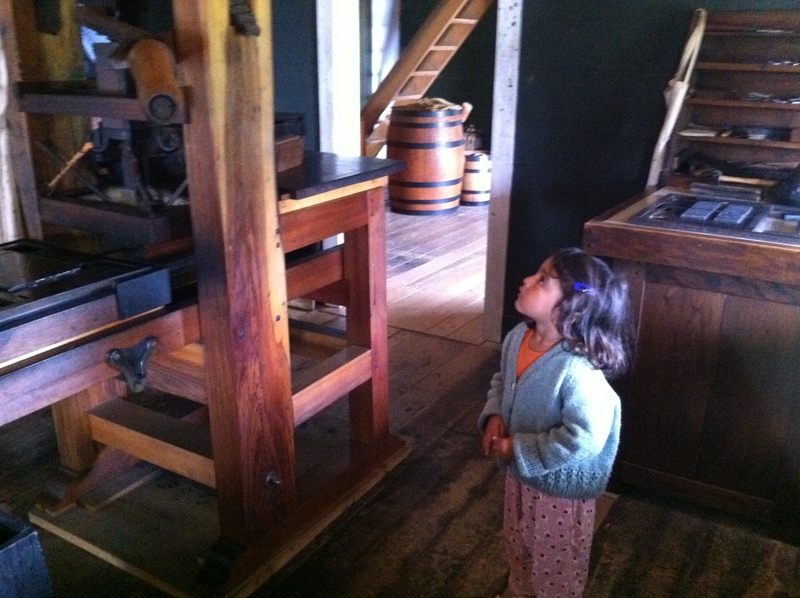 Heres my daughter in the print house at Pompallier Mission. Sadly all the letterpress they had for sale had been shipped in from the States. This entry was posted in Uncategorized and tagged Art, craft, Design, Letterpress, New Zealand, Northland, typography by hooksmith. Bookmark the permalink.